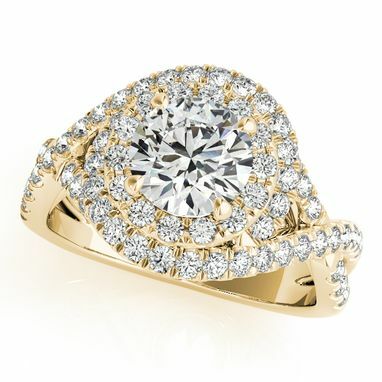 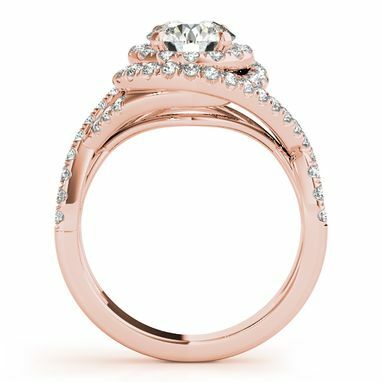 This engagement ring shines endlessly with brilliant round cut diamonds for a total of 1.63 carats. 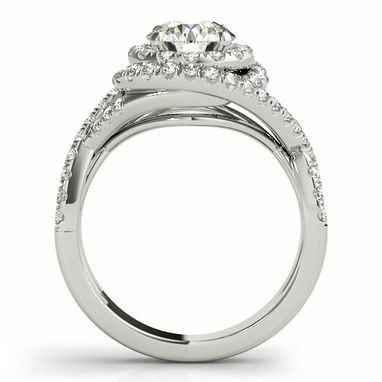 Set in 14k White Gold, this preset ring is enchanting with a one-carat center diamond and surrounding pave diamond halo. The infinity band, also adorned with pave diamonds, twists around the halo for the appearance of a double halo.